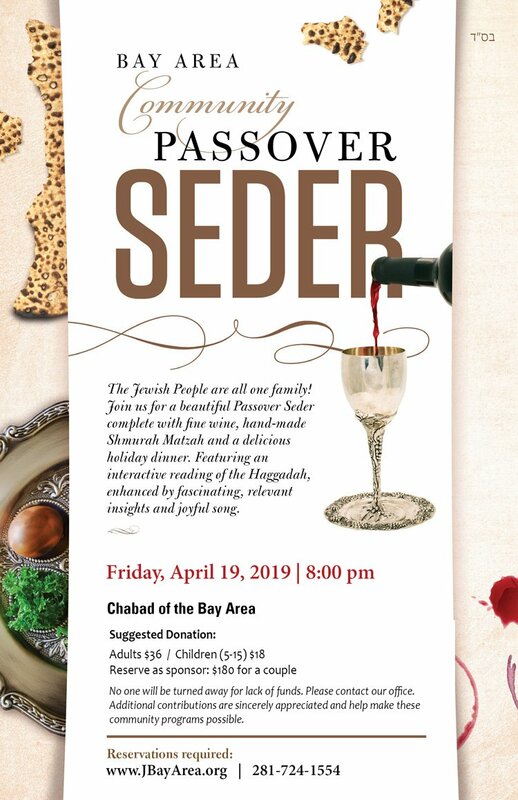 Seder one week away - Not too late to RSVP! Join us for a beautiful Passover Seder complete with fine wine, hand-made Shmurah Matzah and a delicious holiday dinner. Featuring an interactive reading of the Haggadah, enhanced by fascinating insights and joyful song. *If you would like to join on the 2nd night, please contact us. Your additional support is sincerely appreciated and helps make these community events possible. Comments on: Seder one week away - Not too late to RSVP! New Course on Art of Prayer and Spiritual Experience! Bring Back the Bagels! Sunday at WrapStars! Give Tzedakah in Honor of Passover! Sell your chametz this week - An easy Mitzvah!